One of the reasons I became interested in BMW’s dual sport beasts was my daily commute in the heart of central London. 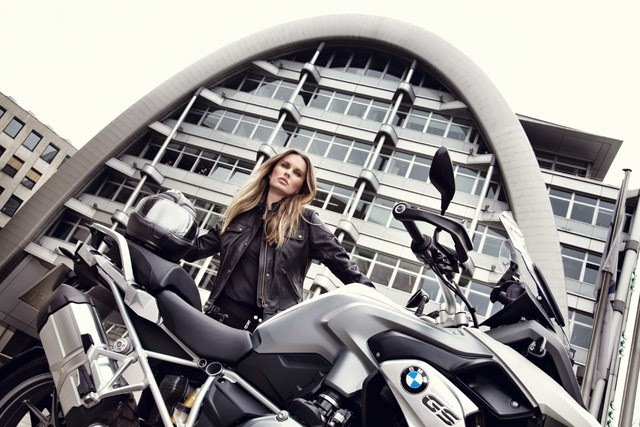 Not the usual campaigns BMW use when advertising the GS range. I did the scooter thing—after a string of near misses and getting knocked off once by an inattentive (idiot) driver in a hybrid I moved to something more substantial, a 600cc Honda Hornet/CB600FA. While the additional road presence and more powerful lighting seemed to increase my conspicuity (and reduce the number of near misses), I still felt vulnerable on the road, sitting at the same height as the drivers around me and having just as little long range visibility as I had on the scooter. After a (very noisy) journey to Calais for a few exclusively French groceries, I had enough of the Hornet. Two hours each way sitting at 7,000 RPM at 70mph with no wind protection resulted in sore muscles the next day as though I’d run a half-marathon. I can’t blame Honda for this—the Hornet was never intended to be a long(er) distance bike. It was, however, an extremely well engineered, precision machine which was great fun to ride. The handling was almost telepathic and the engine could rev and rev forever with its stratospheric redline—13,000 RPM! Typical of Honda engines, it could have done with a touch more torque at low RPMs, but lugging about wasn’t the idea behind this bike, and the upper end more than made up for this lack of torque. I’d looked at GSs but never took one for a ride, as I thought they were too tall for my torso-biased average 175cm height (ie not the longest legs). But on a cold January morning in 2012 I bit the bullet and visited my local dealership, Park Lane. Sure enough I could only get the tips of my toes on the floor on the F800GS, but the bike carries its weight low and it felt a lighter bike than my Hornet, despite its extra 20kg. As I rode up the ramp from Park Lane’s subterranean garage I was wondering what I’d got myself into, shakily navigating the steep uphill curve on a completely foreign bike. Once I reached the surface and onto the city streets, I was still feeling nervous, but the smooth power delivery and strong torque of the 800 made it effortless to ride. It is an easy bike on which to set off, as the toque comes from just above idle and the clutch engages softly—you can’t stall this bike unless you ham-fist it. After an hour in 2°C weather I was freezing to my core, apart from my hands, which were toasty on the heated grips—but I knew this bike was for me. Why? The ‘pick any gear and go’ torque, effortless in the city. The smooth clutch and gears. The deceptively quick pace due to the smooth power delivery. The long-travel, soft suspension which absorbed anything our bombed out London tarmac could offer. The height of the bike melted away into a distant memory and I felt safe and secure riding it. The height, ironically, was one of the key things about the F800GS which ‘clicked’, and I knew it was the bike for me. When you sit on it, you look over the roofs of the other cars, and even most vans if standing on the pegs (disclaimer: probably not recommended in city traffic). Long distance visibility in traffic is, in my opinion, the most important safety feature of a bike—ahead of ABS, traction control or anything else. Seeing what’s coming up allows more time to plan ahead (or plan an escape route)—the further you can see, the better. The height has other advantages as well. The headlamp is roughly level with the mirrors of other vehicles, so they see you coming up sooner and brighter. The road presence means drivers generally don’t disregard the bike as an ‘invisible object’—one of the main causes of crashes between bikes and cars in urban environments. The wide handlebars are just high enough to clear the wing mirrors of most cars, and just short enough to go underneath the wing mirrors of most vans—indeed, the bike can filter through traffic that can often block up a small scooter. But also, the off road engineering helps in an urban setting. The steering and suspension geometry is designed for stable, low speed manoeuvring making it easy to thread through stationary traffic, helped by the low centre of gravity and (relatively) low weight. And, again, the long travel, heavy duty suspension makes short work of everything from speed humps to decayed, potholed tarmac. Needless to say, I put down my deposit and placed a factory order for a fully-specced 2012 Trophy that day (and my R1200GS a year and a half later). While GS range is not advertised for commuting, they do the job better than you could imagine. 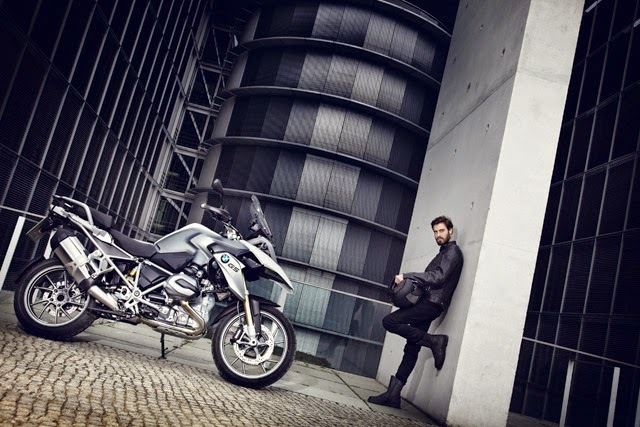 It seems BMW have picked up on this, as they recently commissioned renowned German automotive (and GQ) photographer Markus Hofmann to do a beautifully monochromatic photoshoot showcasing the R1200GS in Berlin—its ‘birth’ city. The press release follows. Let me know in the comments your thoughts about using dual sport bikes on the daily commute. With traffic gridlock, high levels of pollution and people swarming everywhere like ants, city living is not for the faint-hearted. But rising above the claustrophobia is easer than you think, if you have a BMW GS. Designed for the open road, the GS is equally at home within the confines of the city. Its lofty riding position offers a commanding view over the car roofs, and its balanced chassis and low centre of gravity allows easy manoeuvring between lanes of traffic in built-up areas, ensuring you get to the front of the queues safely and quickly. The punchy, torque-rich boxer engine propels you swiftly away from the traffic lights the second they turn to green, while the combination of advanced safety aids such as anti-lock brakes and traction control ensure that if you need to stop or change direction quickly—however bad the road surface is—then you can brake, or accelerate hard, in confidence. They say that good design never dates, and with its fantastic looks and strong design language, the sleek boxer is the latest incarnation of a GS success story that is now well into its fourth decade. The latest model's floating panels, clever use of contrasting materials and colour schemes complement the thought-provoking, often striking architecture that is the hallmark of a modern city such as Berlin, where these pictures were made. The man behind the camera in the German capital was professional photographer Markus Hofmann, who believes that city riding should consist of more than a daily battle for survival in your quest to find that elusive parking spot. A full set of photos can be viewed in the press release.